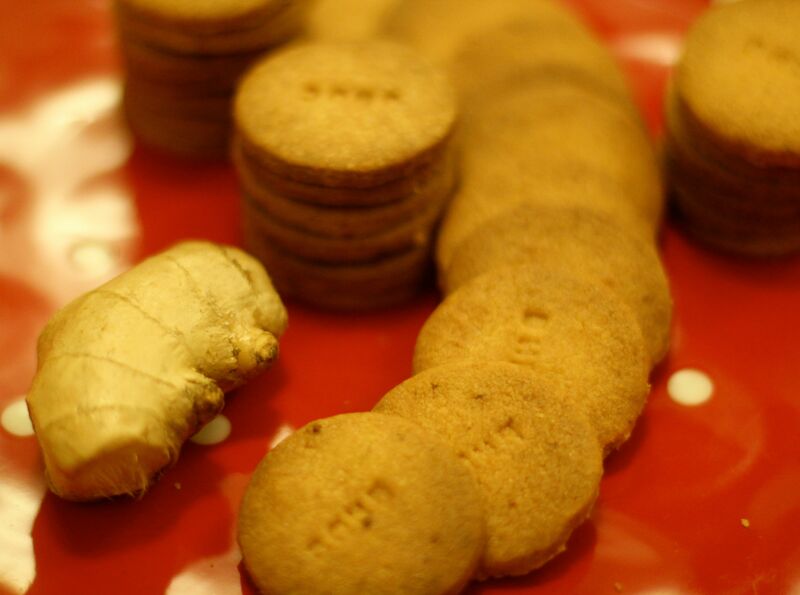 While the rest of the family would go ga-ga over the Shrewsbury biscuits, my mother was always fonder of the ginger biscuits we used to get from Kayani bakery in Pune. Nice and chunky with a distinct kick of the ginger inside. My version is more bite-size so I feel less guilty when I have one. And while there is a kick I don’t make it as intense as the ones from Kayani. I sometimes add a dollop of ginger syrup mixed with icing sugar for a slightly more indulgent treat. Best enjoyed with a cup of masala tea. And these last for very little time when I take them to the office – gone in a couple of days! This entry was posted in Mumbai memories and tagged ginger, ginger biscuits, homemade, teatime. Bookmark the permalink. Never thought about it like that! Ha ha! !